A protein known as p53 regulates the cell cycle, functioning as a tumor suppressor and preventing cancer. 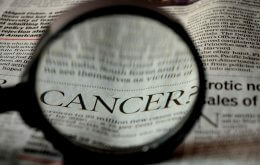 In more than 50 percent of cancers, however, p53 is found to have mutated. Its stability is regulated by a form of protein modification known as ubiquitination — a process that can be reversed by a group of proteins known as deubiquitinases (DUBs). Ubiquitination of p53 often leads to uncontrolled growth and the development of cancer. Through their research, the investigators learned that USP24, which itself is frequently found to be mutated in human cancers, acts as a p53 deubiquitinase. Functional USP24 is required for p53 stabilization after DNA damage. When USP24 is depleted, cells exhibit elevated mutation rates, a sign of genome instability. Now the research will move to the next step. Additional authors of the article include Ling Zhang, Ph.D., associate scientist; Leah Nemzow, Ph.D. candidate; Hua Chen, Ph.D., post-doctoral fellow; Abigail Lubin, Ph.D. candidate; and Thomas K. Harris, Ph.D,, associate professor, all in the Department of Biochemistry and Molecular Biology; Zhongyi Sun, M.D., Ph.D., a former visiting professor from Daping Hospital at Third Military Medical University in Chongqing, China; and Xi Rong, an M.D. student from Peking Union Medical College in Beijing, who did summer research in Gong’s laboratory.